“I don’t know what will happen to my son,” says Eva, a single mother of eight, in a trembling voice. Eva and her 12-year-old son, Manu, were at home when a huge earthquake struck the highlands of Papua New Guinea, collapsed their house and trapped the boy under a falling post for three hours. The 7.5 magnitude earthquake tore through Papua New Guinea on 26 February, causing widespread destruction across the four provinces of Hela, Southern Highlands, Enga and Western Province. Relentless aftershocks and tremors threw children in a constant state of fear and exhaustion. Landslides devastated homes, water sources and gardens that families relied on for food. 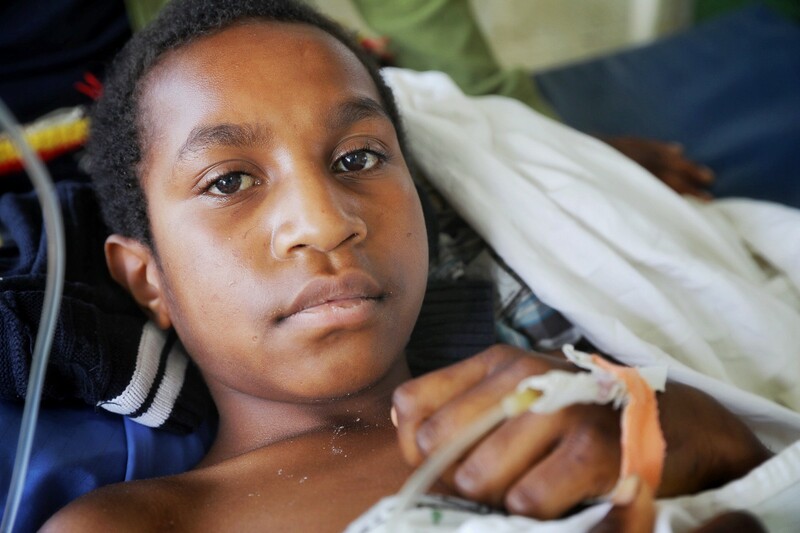 Today, 125,000 children like Manu need urgent, life-saving assistance. Eva’s son was transferred from their home in Hela Province to Mt. Hagen Hospital in Western Highlands. Now, he’s patiently waiting for an operation which, Eva prays, will help him walk again. “We survived but 12 members of my uncle’s family died, a whole family died,” Eva whispers from her son’s bedside as she struggles to hold back her tears. It’s a profoundly stressful time for Eva, Manu and so many thousands of children who have lost their homes, schools and loved ones. That’s why UNICEF is working to support temporary, safe spaces where children and women can get counselling and psychosocial care. This is just one part of the emergency response for children and families. UNICEF is working closely with government and partners to help children survive immediate dangers and to recover in the tough times ahead. Our teams will deliver water purification tablets and hygiene kits to help prevent the outbreaks of disease that too often thrive in emergency conditions. We’re working to provide therapeutic food and micronutrients for malnourished children and we’re urgently delivering vital health supplies to communities in crisis. Families like Manu and Eva deserve nothing less. You can help reach more children with life-saving supplies by making a donation to UNICEF Australia’s emergency appeal. Follow UNICEF Papua New Guinea on Facebook, Twitter and Instagram for more powerful stories and emergency updates. 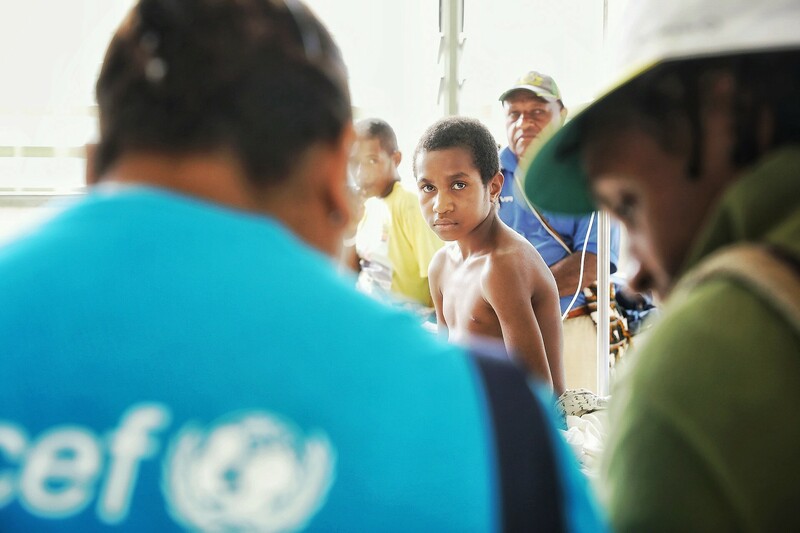 UNICEF promotes the rights and wellbeing of every child in Papua New Guinea, with a special focus on reaching those in greatest need.